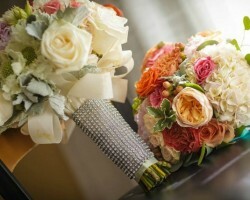 Throughout Orange County there are many options to choose from when it comes time to pick your wedding flowers. 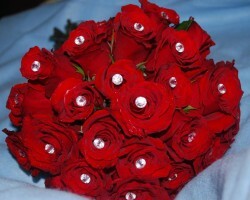 None of these flower shops, however, come close to the quality provided by Express Florist. This team is fully dedicated to their customers and you can be sure that every aspect of the service will exceed all expectations. Reviews from couples that have used this service always mention just how friendly every member of the team is and how incredibly helpful their advice was. 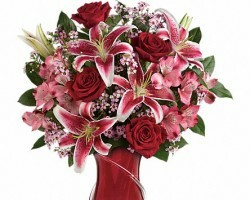 At Mina Flower Design they have one of the most impressive varieties of blooms of any Orange County florist. You will have access to some of Californian favorites and flowers that are much more exotic. This service is a wholesale company that provides to other florists in the area so you can be sure they know what they are doing. 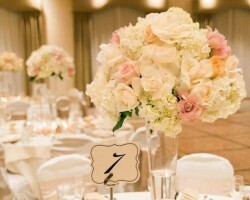 In addition to their flower delivery in Orange County this service specializes in wedding décor and will be able to transform any venue into a wave of color and life. Cynthia, the founder and floral expert at The Blooming Bud, has an eye for detail that very few other florists in Orange County, CA can compete with. With a background in interior design Cynthia understands that flowers can bring the entire venue and event together into a single beautiful style. This florist and her team work with each couple to create arrangements, bouquets and centerpieces that suit every aspect of the bride and groom’s personalities. The Blooming Bud also does this whilst remaining as affordable as possible. 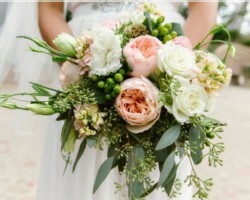 For more than just a simple arrangement couples should only turn to Jenny B Floral Design. This expert is more than a great florist but a genius when it comes to creating beautiful floral décor for weddings in Orange County. This service is able to create the style of your entire wedding, add subtle touches with a bride’s bouquet or provide decoration for the cake. Whatever you choose to use this local service for you can be sure that you will be getting the freshest flowers and the most beautiful arrangements available anywhere in California. John Mays has a long history of providing quality flowers to couples throughout Orange County and the entire of Southern California. He and his team have the experience necessary to provide the highest quality of service. Unlike other flower shops in the local area John Mays doesn’t take on multiple events at once and he aims to give all of his attention to each client at a time from the first estimate to when the flowers are set up in the venue.